Russian Market is a must visit spot when you are in Phnom Penh. They have all sorts of items from clothing, cookery, tools, souvenirs, food and you name it! Back in 1980's this place was filled with foreigners from Russia, hence the name Russian Market. The silk scarfs are super cheap in Cambodia. You can get it as low as 2 dollars each (provided if you are good at haggling and you need to buy in a big amount). On top of that, their DVD are super duper cheap as well. You think RM5 per piece in Malaysia is damn cheap already? They are selling only for 1USD per piece! Which is only about RM3.30. Take that! Other than that, well it's pretty much the same price or slightly more expensive. Arts and crafts are quite costly, unless you are so handsome/pretty and good in bargaining. Shall talk about that in my next post where Amirul managed to bargain with his Khmer charm. Unfortunately the place was very stuffy and hot. You can hardly breathe inside and you will also sweat profusely. If you are looking for something similar like the Russian Market, you can visit Central Market. The place is newly built compared to Russian Market, and it is slightly nicer and less hotter. Let's play - Can you spot Amirul inside the picture? During the night, we passed by the Independence Monument. 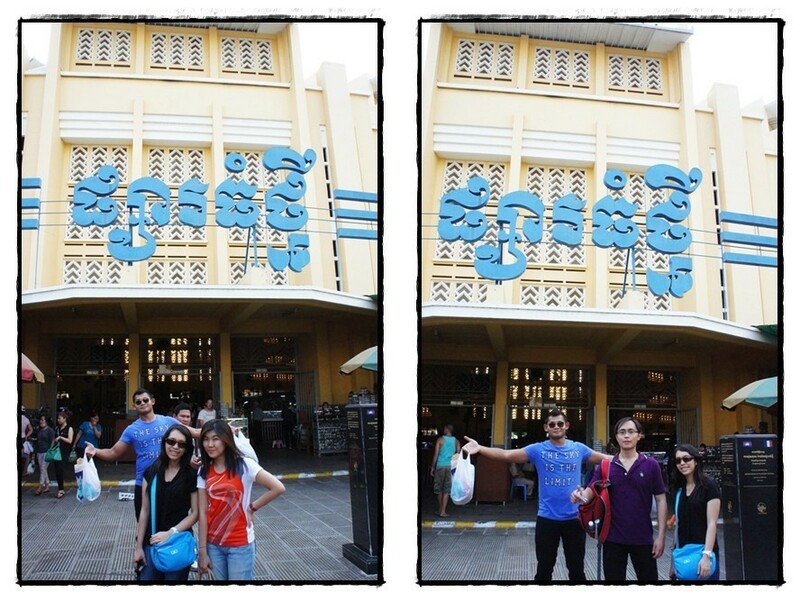 After dinner, we went around Phnom Penh's city for an exploration. 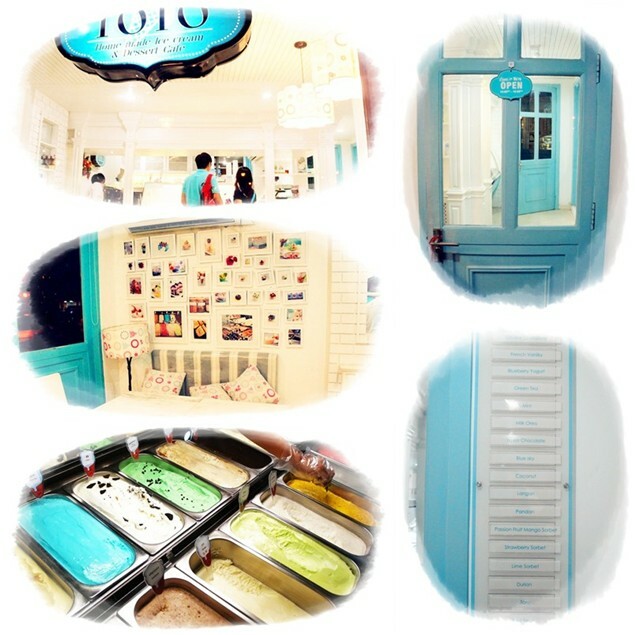 First, we bumped into this super cute looking ice cream shop. What a coincidence! All of us were wearing blue except for Amirul. Blending in with TOTO's theme. Stares at Amirul. Terus hilang selera makan. Our very brilliant friend here - Amirul, once told us that a colleague of his whom apparently went to Cambodia before, informed him that, the Pizza is D'Bomb! Hence we must not miss it once we're here. But this smart dude, didn't even ask his colleague which particular Pizza Restaurant. 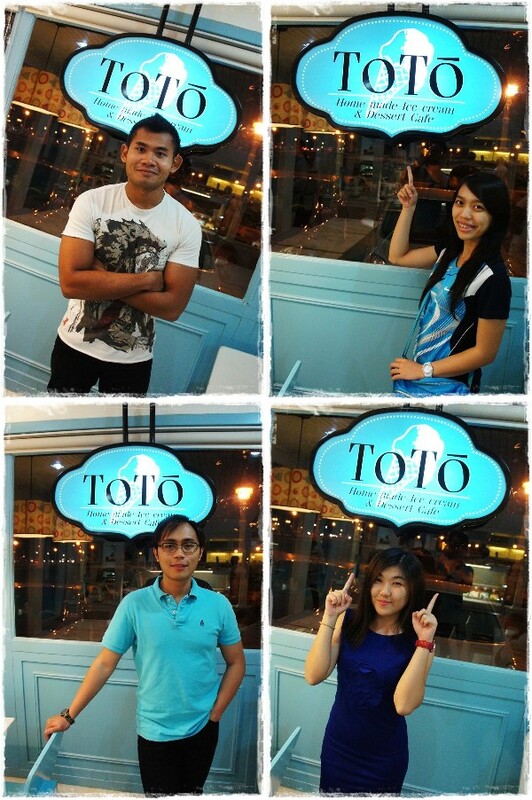 So we ended up in The Pizza Company, which was just 2 blocks away from TOTO. Since all of us were very full, but die-die also want to give it a try since the pizza is D'Bomb, he says. Being a cheapo tourist is not easy okay! Kena gelak oleh orang-orang locals tau! There's a story behind that moves. Which I prefer to keep it between the four of us only. Whatever happened in Cambodia, stays there. hahaha! Let me continue my story. 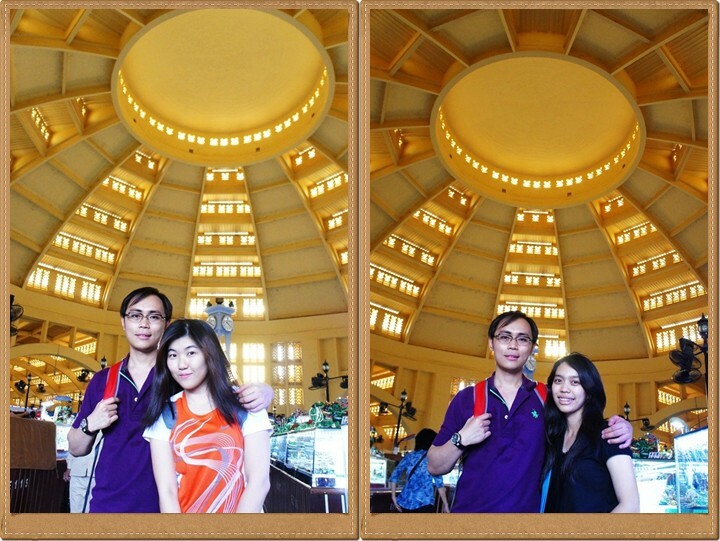 Like I said, it's not easy to be a cheapo tourist uhmm-kayy! The big pizza cost about 20USD if I am not mistaken. We just wanted to give it a try, buat apa order yang besar kan? Plus kita orang pun baru habis makan dinner yang berat giler. After flipping the menu for almost 15 minutes. Finally we made our move - to order the smallest pizza. Me: Umm give me this *points at menu*. I want the smallest size okay. Me: *pretending to ask the others* Eii you guys want anything else? Cheapo friends: Nah we're good. Me: Nahh don't think so. We're good. Then the waiter went to place our order, and soon after that, a group of other waiters were staring at our table while laughing. HAHAHAAH! Kita pun apa lagi. Ketawa sama-sama lor. When Waiter Number 2 came to serve our food, he started to smile at us again. So here's a picture of our mini pizza. Seriously! It's like the size of my palm. HAHAHAHAAHAHA! Mana lah tak diketawakan orang ye. Other locals were staring at us too! Hahaha can't believe that we actually did something stupid in a foreign country. Next - time to foot the bill! Just when you think you're not going to get that stare, well you're totally wrong! Now even the cashier dude started to chuckle when we paid 3USD++ for our meal. Dah la share 4 orang lagi tu! OMG... HAHAHAHAH!! We left the place dengan style lagi tu.... and all those dudes bid farewell to us by saying - thank you. Hahaha no need thank you thank you lah. Our next stop was COSTA COFFEE. Mamamia! The coffee taste so damn fine baby! Im'ma in love with it yaw! Taste even better than Starbucks or Coffee Bean. That's how we spent our last night in Phnom Penh.